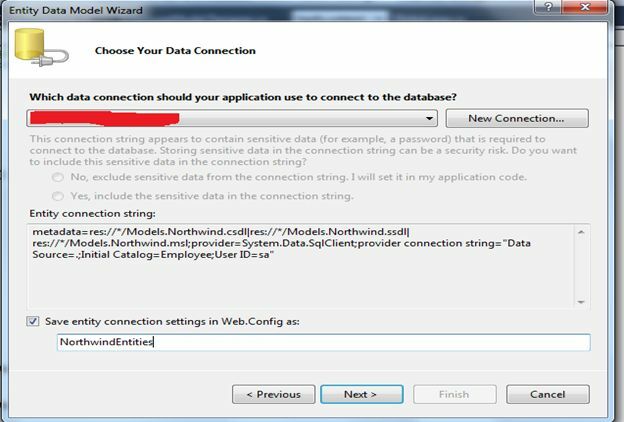 In this article I am sharing how to use joins in Entity Framework with a DB context and a LINQ query. I will use a sample application to demonstrate this feature. We need to create DB Context object to understand the fact and advantages, so let's create a .edmx and dig into more details. 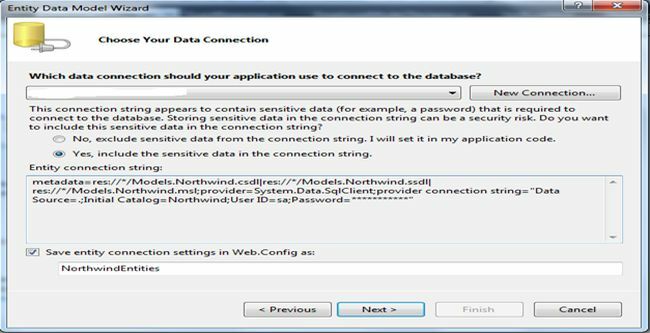 Kindly follow the following procedure to create a DBContext. 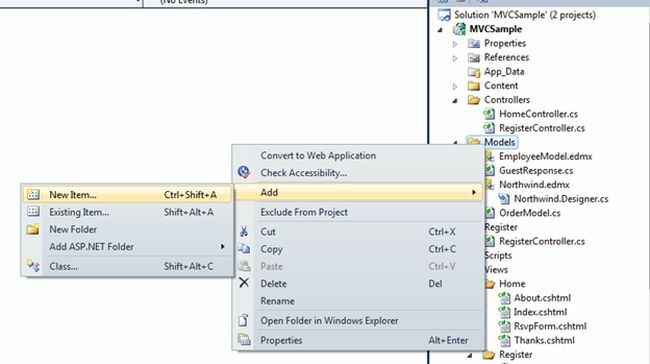 Create a sample MVC application and follow the procedure below. 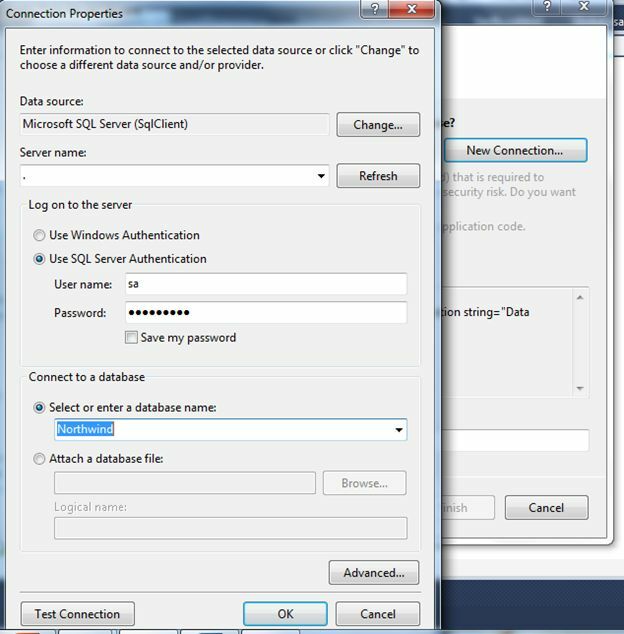 Click on "New Connection" and fill in the required details as shown in the following image to connect with the server (in this for example I have used "local DB Server"). 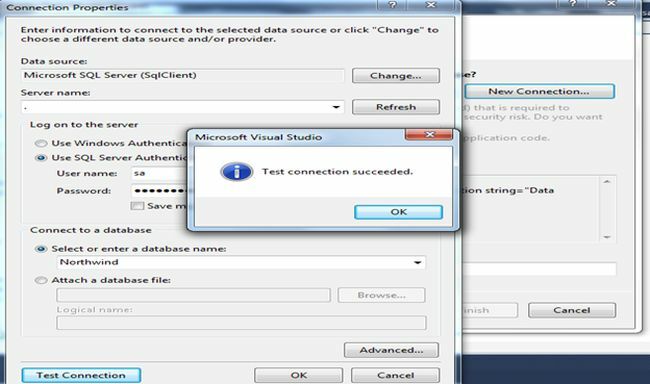 Click on "Test Connection" to verify that the connection has been established. Click "Ok" and proceed further. 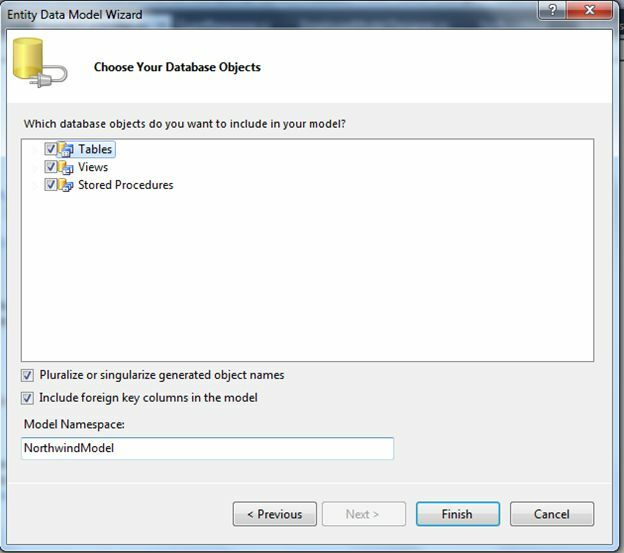 Select the required database objects as per your needs and click on the "Finish" button. 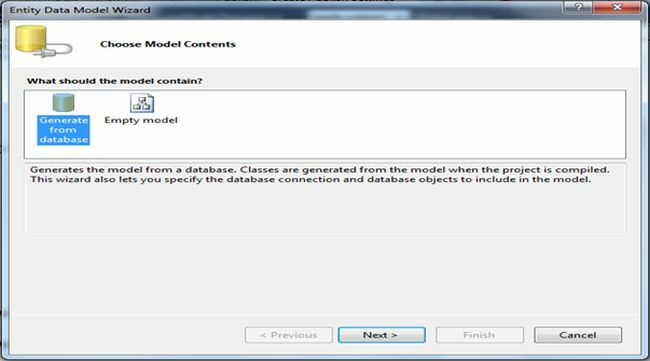 These are the very basic steps to create an entity object from an existing database as shown above. 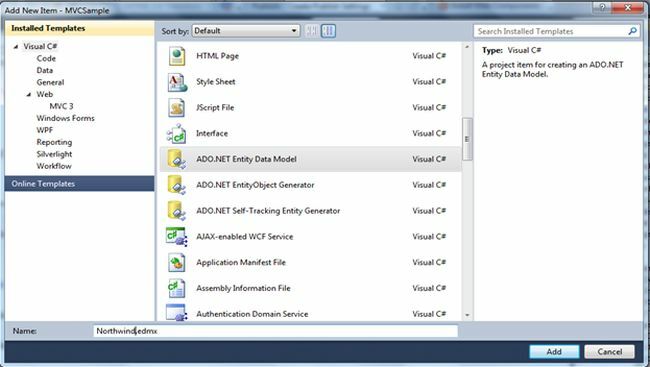 Now let's proceed further and get to the core topic to use Joins with Entity Framework. You can see the code snippet in the above diagram states that we are using an inner join on two tables, Orders and OrderDetails, and return the result to the view (that is of type OrderModel having the following code snippet). Now I run the sample application and press F5. It's very simple in use, we just need to understand how to implement this. Hope it will be helpful somewhere someday. And I will contimue to post a few more articles related to MVC, Entity and many more.